The exhilarating OPTP STAR ROLLER®, perfect for relaxation techniques and effective relief from sore muscles, is combined with Rolling for Resilience, which delivers foam roller methods for self-massage, body alignment and core strengthening. The OPTP STAR ROLLER® stands out from traditional round foam rollers with its ridged design. The deep peaks and valleys alternately compress and release the tissue to efficiently mobilize and rehydrate the connective tissue. The ridges also penetrate deeply into tight, sore muscle to release tension and accelerate post-exercise recovery, as well as enhancing the sensory-motor experience. The increased stability of the foam roller gives you control over massage placement and movement techniques. Measures 36" x 6". Available in soft or firm density. 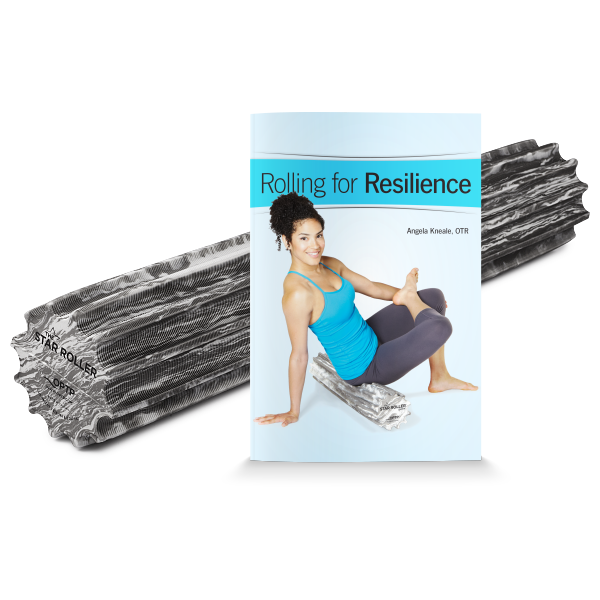 Rolling for Resilience, by Angela Kneale, OTD, MA, OTR/L, NBC-HWC, blends body alignment, self-massage and core exercise to help you enhance your body’s (and mind’s) resilience. Resilience is your ability to recover from hardships and injury; these foam roller techniques are a fun and invigorating way to boost this vital element of wellbeing. Illustrated. Softcover, 64 pages. 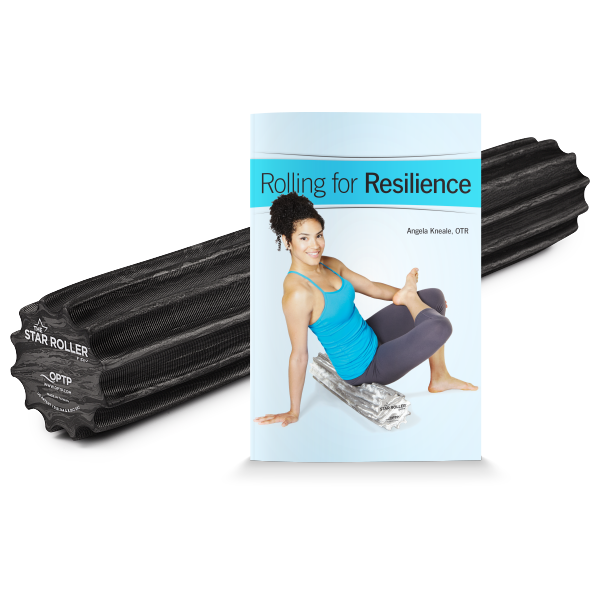 Package includes one OPTP STAR ROLLER (select soft or firm) and one copy of Rolling for Resilience. STAR ROLLER Soft offers gentle compression for relaxing self-massage and core challenges. STAR ROLLER Firm delivers deeper, more acute pressure and increased sensory feedback. This roller and book have been a huge help in rehabbing my hip. The book includes lots of different exercises and stretches to target all areas of your body, each with helpful pictures and descriptions. The photo index at the back helps you find what you’re looking for quickly. The roller is fun and practical – use it to strengthen and stretch or to roll out muscles you never knew were so tight! This is a versatile tool and I really enjoy using it.